and stay to sing-along with The Sound of Music on the big screen! BUT RESERVATIONS ARE REQUESTED, ENCOURAGED, AND APPRECIATED! PLEASE LET US KNOW YOU’RE COMING BY REGISTERING HERE. The Open House will begin at 1:00PM, with guided tours of the historic 91-year-old theatre and time to explore The Carolina before the movie begins at 3:00PM. (Stage games and movie intro will begin at 2:30PM.) You’ll be able to see the theatre’s new auditorium seating, new carpet throughout, updated and expanded restrooms, restored plaster and paint, and the refreshed backstage dressing rooms. You can visit the Renaissance Room for a look at the history of the theatre, or check out The Crown on the third floor. Maria has longed to be a nun since she was a little girl, but maybe the life isn’t exactly what she thought it was going to be. Often in trouble, Maria is sent to the house of a retired naval captain and widower to care for his children. The seven children have run off countless governesses, but Maria soon learns that all they need is a little love to change their attitudes. She teaches them to sing, and through her, music is brought back into the hearts and home of the Von Trapp family. Unknowingly, Maria and Captain Von Trapp are also falling helplessly in love, except there are two problems: the Captain is engaged, and Maria is a postulant! 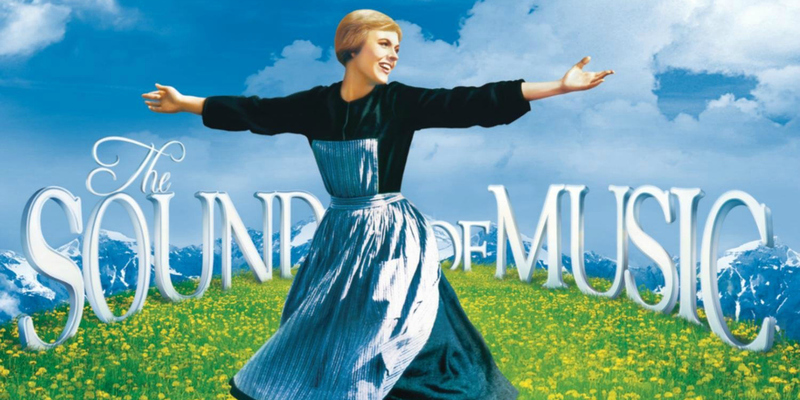 A tuneful, heartwarming story, The Sound of Music is based on the real life story of the Von Trapp Family singers, one of the world’s best-known concert groups in the era immediately preceding World War II. Starring Julie Andrews & Christopher Plummer. 1965, Rated G, 2 hours and 54 minutes. RSVP TO JOIN US FOR THE FREE OPEN HOUSE & MOVIE SING-ALONG HERE.